It was 8:00 in the evening and we had been riding through the city for quite some time now, in search of some place to settle for dinner. Reason- Most restaurants were closed on the occasion of Diwali, a trend I found to be rather strange. “This isn’t Mumbai” my friend exclaimed in response of my astonishment. 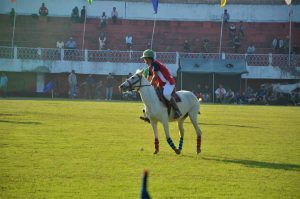 I was in Agra and this was the first of many surprises that were to be disclosed during the rest of my trip. By the banks of Yamuna, lies the historical city of Agra which was once the capital of Delhi Sultanate, under the regime of Sikandar Lodhi. Even after Lodhi dynasty ebbed away, the city continued to be seat of the Mughal empire, which successively advanced to power. 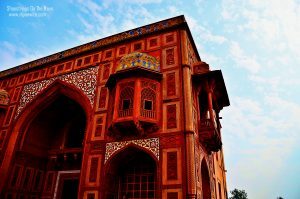 What remains today is the architectural legacy of the Mughal empire interspersed across the city and neighboring areas. 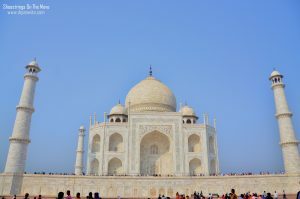 The mere mention of Agra instinctively brings Taj Mahal to one’s mind and this inimitable monument of love allures millions from across the world. However; the city offers much more beyond the Taj when one sets for an intensive exploration of its rich history and patrimony. 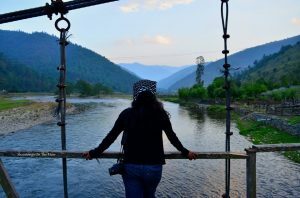 Like all my travels, even this time, I had not decided on any set itinerary however; I had in mind the places I wanted to explore during my 3 day visit. I came back with mixed emotions and impressions about the city, its people, the tourists, its heritage and of course, the Taj Mahal. Listing down my experiences in the city, both good and bittersweet. 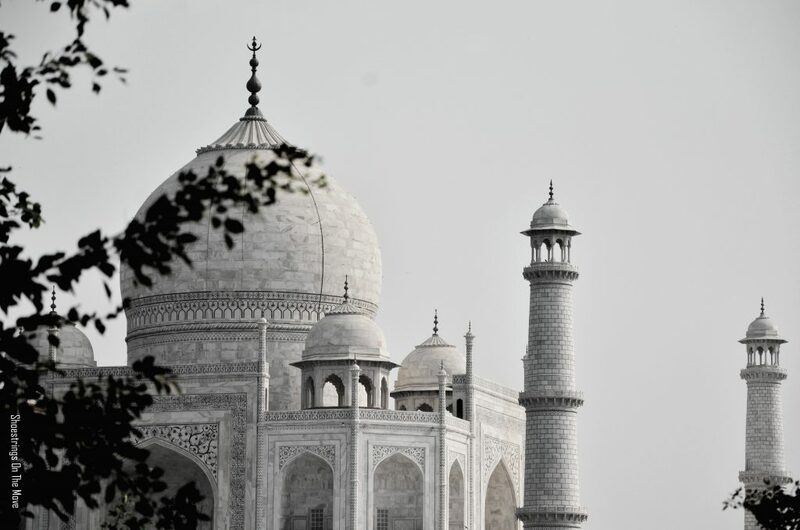 Well, Taj Mahal needs no introduction. Having read and heard so much about the monument of love throughout my life, my excitement had somewhat frizzled out by the time I finally stepped into the city. However, one look at the grand monument and I could not contain my adoration towards it and the sentiments that led to building of this architectural marvel. The entire structure is epitome of rich and intricate artwork that leaves one mesmerized to the core. 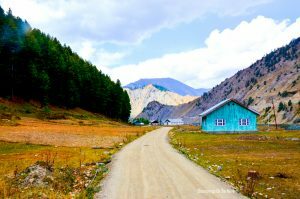 Recommended: Have you been to Gurez Valley? 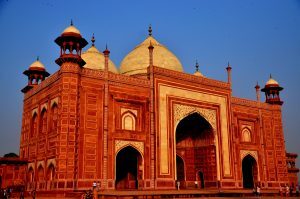 While Agra’s historical significance dates back to the times of Mahabharata, the city gained its golden age only under the rule of Mughal Badshahs. I explored the interiors of the old city that are least visited apart from the prominent ones. 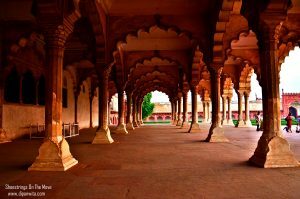 The Agra Fort, one of the finest Mughal forts built out of red sandstone and marble represents a small city within its premises with quite a few palaces, mausoleums and gardens. 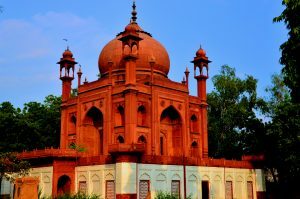 Sikandra is home to grand Akbar’s tomb along with an unknown Lodhi tomb within the site. Tomb of Mariam-uz-Zamani, Chini Ka Rauza, Tomb of Itmad-Ud-Daulah, Aram Bagh (the Persian garden built by Babur) and the black mosque behind Taj Mahal are few structures with varied architectural styles and elements. The most important element of a place is its people and when traveling to a new city, our impression about the city mostly depends on what kind of people we come across. As it happens, we meet people of all kinds in all places. A thing with me is, I have managed to meet some awesome people while on the road and Agra was no exception. My rickshaw driver, whom I had hired for 2 days, invited me to the inauguration of a new restaurant that his close friend had opened. Also, the hotel staff where I had stay put, was very helpful. One of them even offered to drop me to Taj Mahal East gate early morning on his bike when I had forgotten to inform my driver about the pickup time. I cannot thank my stars enough whenever I meet such wonderful people. As they say, there is always a workaround. A first of its kind, Sheroes’ Hangout in Agra is a quaint café run by 5 acid attack survivors. The restaurant is very tastefully designed with graffiti and trinklets adorning the walls. I was recommended this place by a friend and came back feeling overwhelmed. As an initiative of “Stop Acid Attacks” and Chhanv Foundation, the café runs on no-set-price menu. So, you pay whatever you feel like. Didn’t mind splurging here at all. My request to all you peeps is to consider shelling out some extra cash here. TRAVEL EXPERIENCES ARE ALWAYS POSITIVE. NOT! “So much money spent on a dead king. That too an invader” blurted out one of the tourists while coming out from Akbar’s tomb in Sikandra. The comment left me appalled. I have, however; omitted the part of the comment which was far more shocking and disturbing. This instant was just the tip of the iceberg. Travel is not always about happy memories and when it is from your own country, a not-so-positive experience is more than disappointing. As a country, while we brag about having rich cultural history, the heritage and legacy left behind by former rulers is something we should rather take pride in, than regarding it with disdain. Whom do we hold responsible for such intolerance? Regressive mindsets or negative media? I would wish for a sky under which, people are a little more respectful, inclusive, tolerant and humane.